Your credit score can be negatively impacted by missed payments, divorces, or too much debt. Need A Car Loan Now can help you get the money you need, even with bad credit, so you can get into the perfect car. We have great relationships with many lenders because we have been in the Auto Finance industry for several decades. 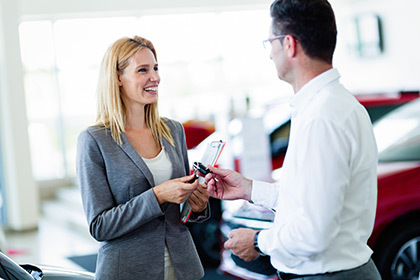 As automotive financing specialists, we have a simple process to help you purchase a vehicle that meets all of your needs. We strive to get your car loan approved at the lowest possible rate, regardless of credit history, while making sure your payments fit your budget. We want to help you start to re-establish your credit! When looking for a car loan, the most important thing is getting the loan that is right for you. Once you complete and submit our secure online application, our financing team will review your credit rating and submit your information to the appropriate lenders. We have the ability to negotiate low-interest loan approvals because of our extensive experience. Our process is quick and easy. We contact you with the specifics of your approval within 24 hours of your application submission. Next, you should calculate a realistic car payment you can afford by outlining your monthly bills. Enter your loan details into our Car Loan Calculator. Include the total amount of the loan, how long you would like to pay it back, and your approved interest rate. Add in any down payment, rebates, or trade-in values associated with your purchase and select the frequency of the payments you would like (either monthly or bi-weekly), then calculate to see what your payment can be. If you need to, reset the form and enter different information to see alternative monthly payments. Once you have your payment set, start shopping. With access to hundreds of cars, trucks, and SUVs, you are bound to find your dream vehicle!